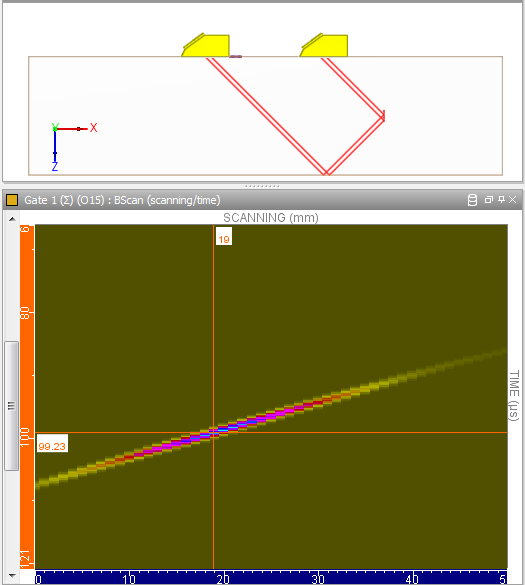 In the UT module, two types of computation are available: beam computation and inspection simulation. 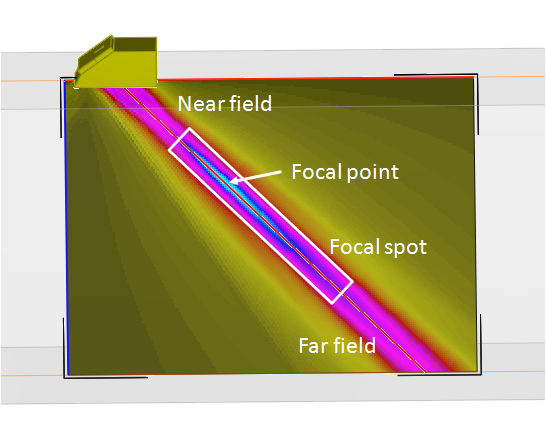 Visualize and characterize the main parts of the beam for a given probe (near field, far field, location of the maximum, beam sport size, etc.). 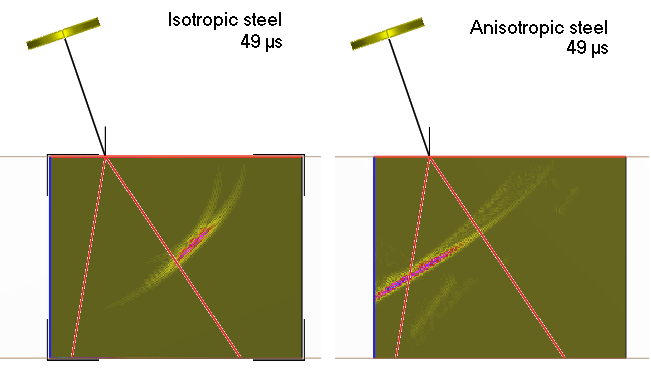 Visualize the beam propagation, especially when specific phenomenon occur (propagation in an anisotropic material, grating lobe phenomena with a Phased-Array Probe). 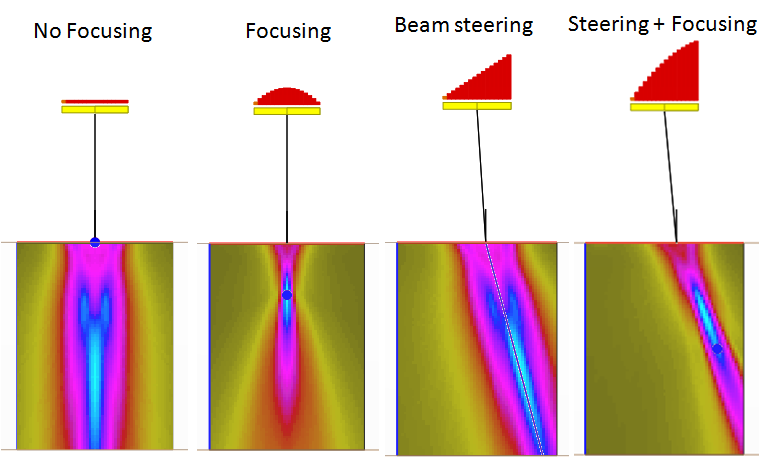 Understand and see the effects of focusing or beam steering. 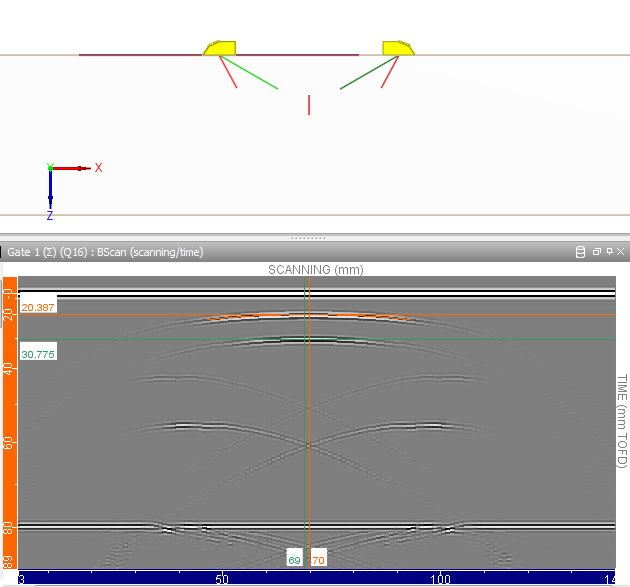 See the impact of the material velocity on the beam angle. 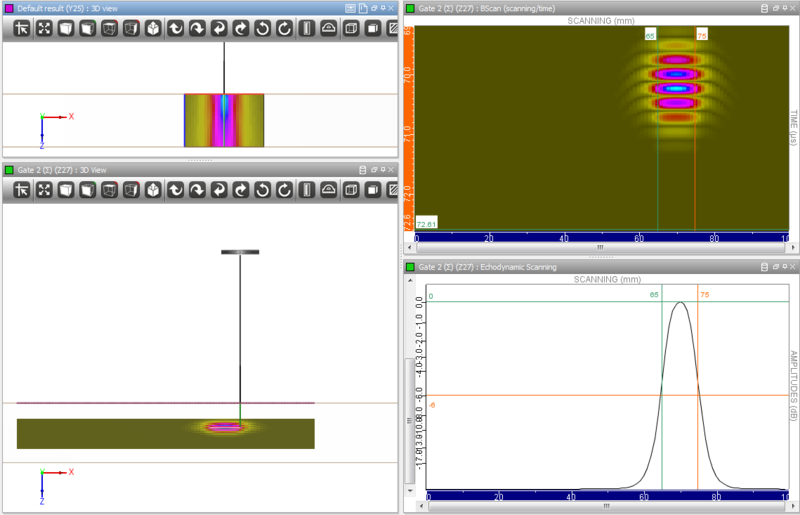 Visualize the impact of physical parameters such as the probe frequency on the radiated beam. Evaluate the sensitivity zone of a separate T/R probe (such as TOFD or Tandem) with the combination of the emitted beam and the zone of sensitivity in reception. The different types of echoes scattered by an indication or by the component boundaries (diffraction, reflection, corner effect, etc.). Identify the different modes and for instance mode conversions phenomena. Illustrate the different UT techniques (Straight beam, Angle beam, TOFD, Tandem, PhasedArray...). Show calibration block set up to obtain DAC like curves. Understand beam spot sizing technique such as the 6dB drop one or using the tip diffraction signals. Show the impact of influential parameters on the signal sensitivity (such as flaw location and orientation, or probe parameters...).